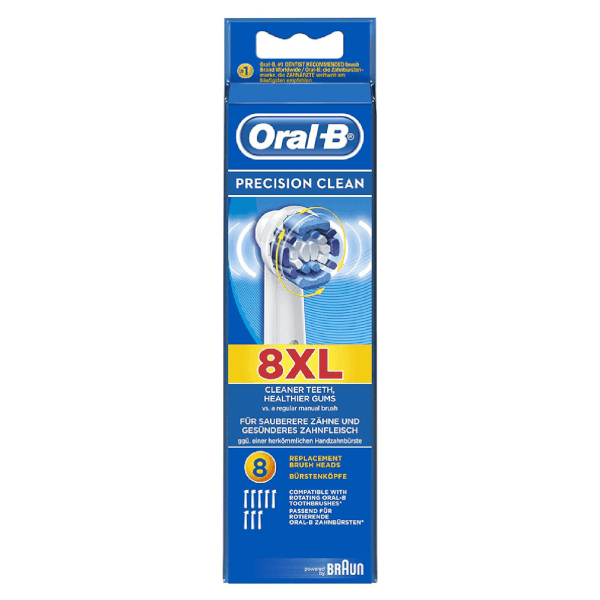 Experience a superior cleanse with the Oral-B Precision Clean Replacement Brush Heads, a set of professional-inspired brush heads compatible with the entire line-up of Oral-B rechargeable electric toothbrush handles*. Specially engineered to clean tooth by tooth with more surface coverage, the brush heads are fitted with MicroPulse bristles that effectively clean along the gumline and deep between teeth, breaking away and removing up to 100% more plaque compared to that of a manual toothbrush. 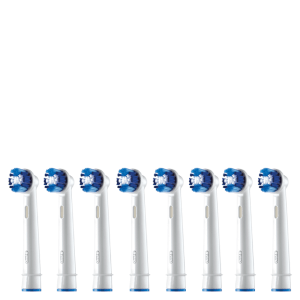 Delivering a high quality, deep clean, the brush heads also feature indicator bristles that fade when it's time to replace, ensuring optimum results and oral health. Dentists recommend replacing your toothbrush every 3-4 months.